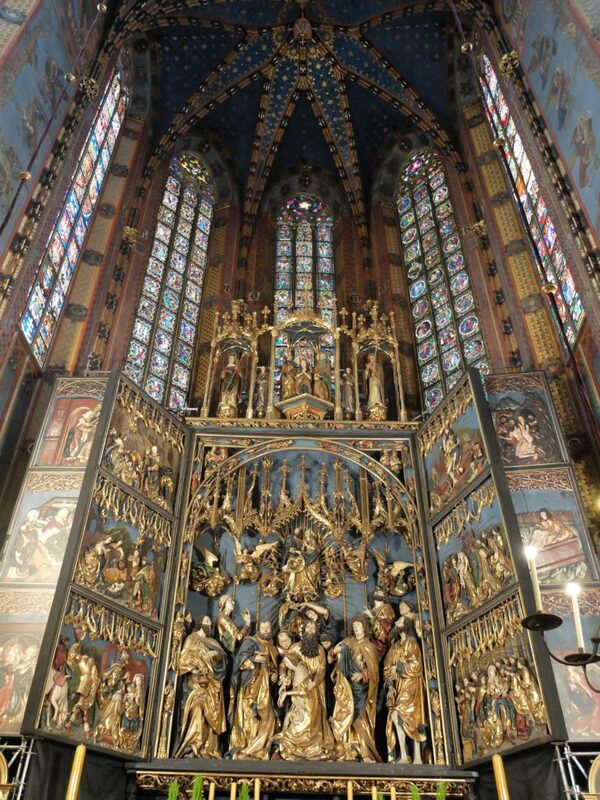 This is largest Gothic altarpiece in the world and a national treasure of Poland. 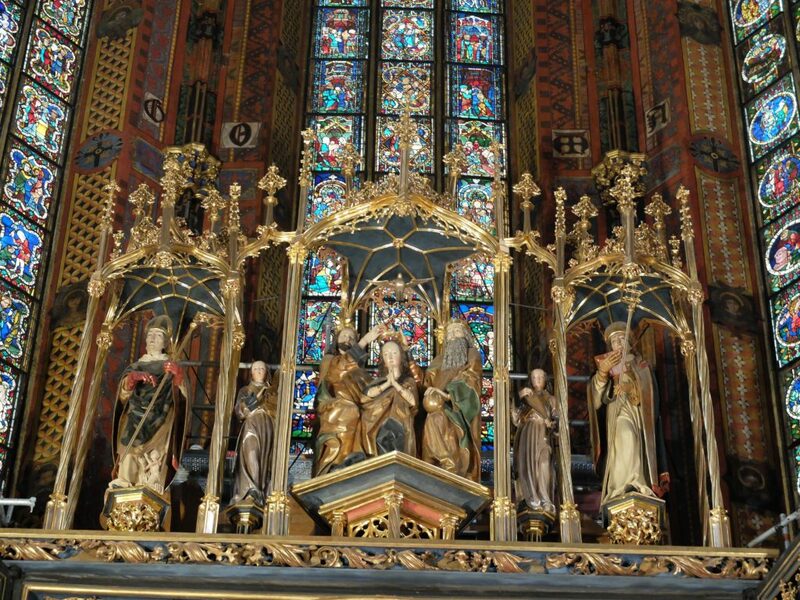 Carved over a period of 12 years, the 15th Century Veit Stoss Altarpiece is located behind the high altar of St. Mary’s Basilica, Krakow. 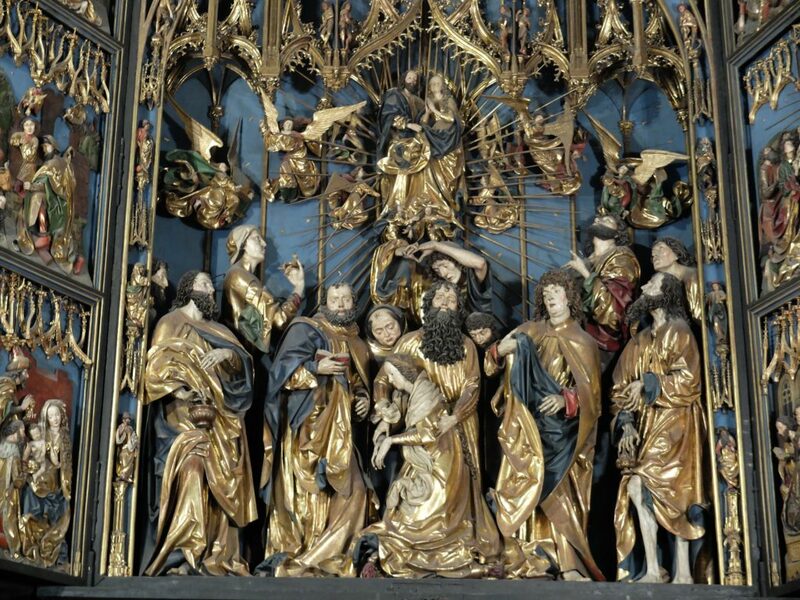 Standing at 13m high and 11m wide, the altarpiece contains over 200 realistically sculpted figures from the Christian story, treated with colour and gold foil, some almost 3 meters in height. 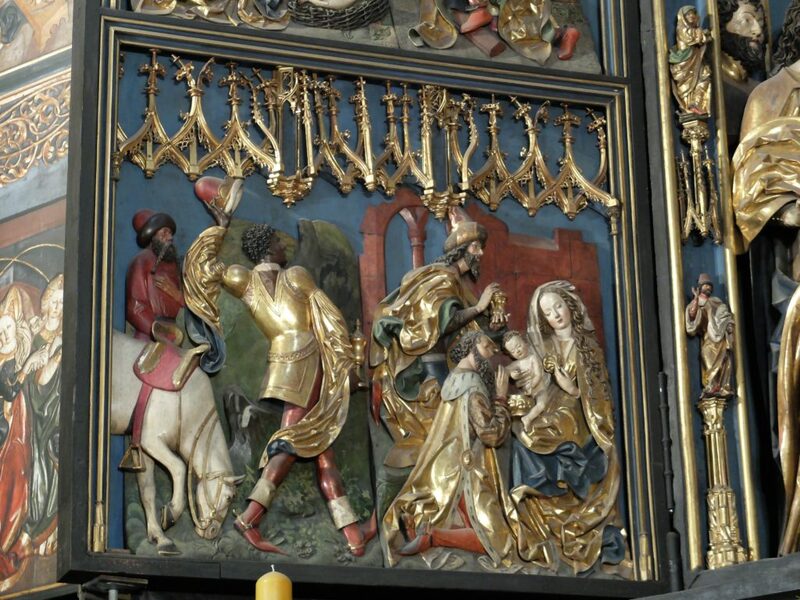 The altarpiece is a ‘pen­tap­tych’, i.e. having five pieces.  We see a central section, a pair of ope­ning inter­nal wings, and a pair of fixed exter­nal wings. 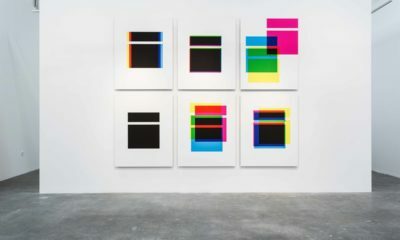 Stoss’ of dimensions and colour is fascinating. As we move from the outer sections of the altarpiece towards the centre, the sculptural forms go from flattened relief to three dimensions. The outer wings show bas-relief, the inner wings show high relief, and the central sculptures are almost fully rounded figures. 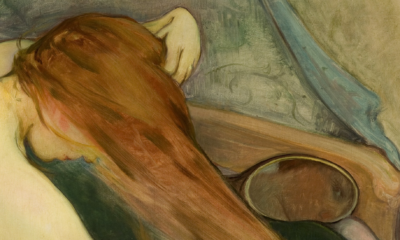 In a similar sweeping movement, the life-like full colour of the outer edges turns to golden gilding towards the centre of the piece. In the allegorical interpretation of colours in the Middle Ages, this most valuable metal (gold) symbolized the eternal light of heaven and it is these rays that bathe the central scene. Veit Stoss’ individual style has sometimes been called ‘late Gothic Baroque.’ We see pathos and dramatic emotion, assisted by his technical mastery and virtuoso carving of billowing drapery. The sculptural treatment of the faces reveals an outstanding ability to observe people. 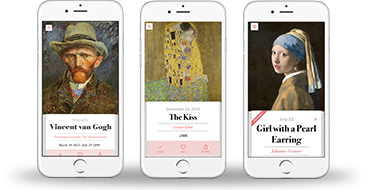 The piece as a whole has harmony and symmetry, but each individual figure is given the character of an expressive individual portrait, with energy and emotional depth. Production required a large workshop of craftspeople including skilled, specialised painters and gilders. 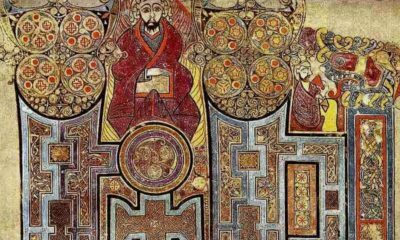 The extensive use of gilding helps explain the cost. It is speculated that the altarpiece costs eventually ran to 2808 florins, roughly equivalent to the entire city budget for one year! 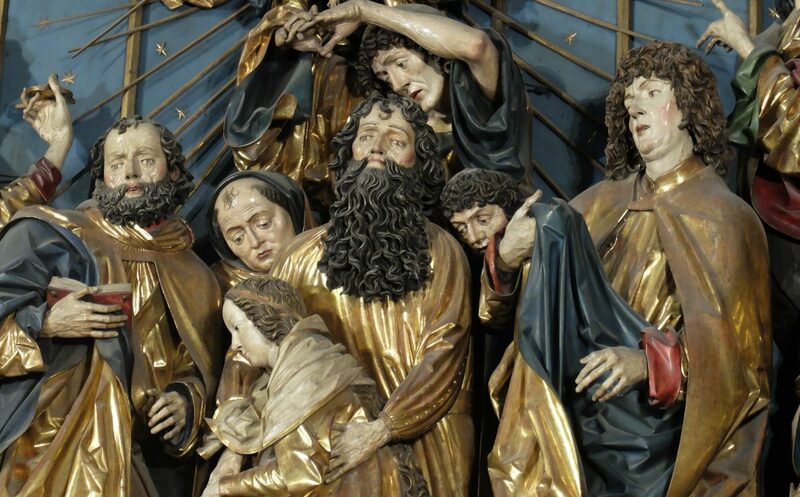 Veit Stoss (1448 – 1533) was a leading German sculptor working mostly in wood. His career covered the transition between the late Gothic and the Northern Renaissance periods. As a young man, he settled in Nuremberg, a bustling merchant city where Albrecht Durer was a contemporary. When Veit Stoss moved to Krakow, he found a grand and prosperous city. Diplomacy and economic stability had created an affluent and culturally vibrant country in a period that was later to be known as Poland’s ‘Golden Age’. 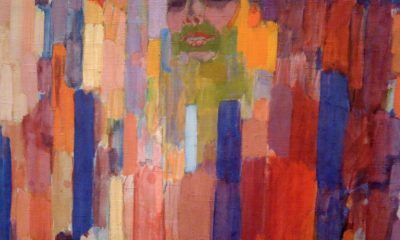 Veit Stoss’ rise as an artist was meteoric and he became a free-man of the city. The St. Mary altarpiece was his largest commission and he remained in demand right up until his sudden departure from Krakow in 1496. Veit Stoss’ departure from Krakow is intriguing. There are no records to show why he returned suddenly to Nuremberg with his wife and eight children. However, it may be because of investment fraud. In 1503, shortly after he re-acquired his Nuremberger citizenship, he was arrested for forging the seal and signature of a fraudulent contractor. He could have been blinded or put to death for this crime, but instead, he was sentenced to be branded with red-hot irons on both of his cheeks and prohibited from leaving Nuremberg city limits without the explicit permission of the city council. He did attempt escape, but was found and imprisoned. However, following interventions by high placed figures, he was pardoned in 1506 by the art-loving Holy Roman Emperor Maximilian. Veit Stoss never returned to Krakow but several of his children did, building careers as goldsmiths and sculptors. 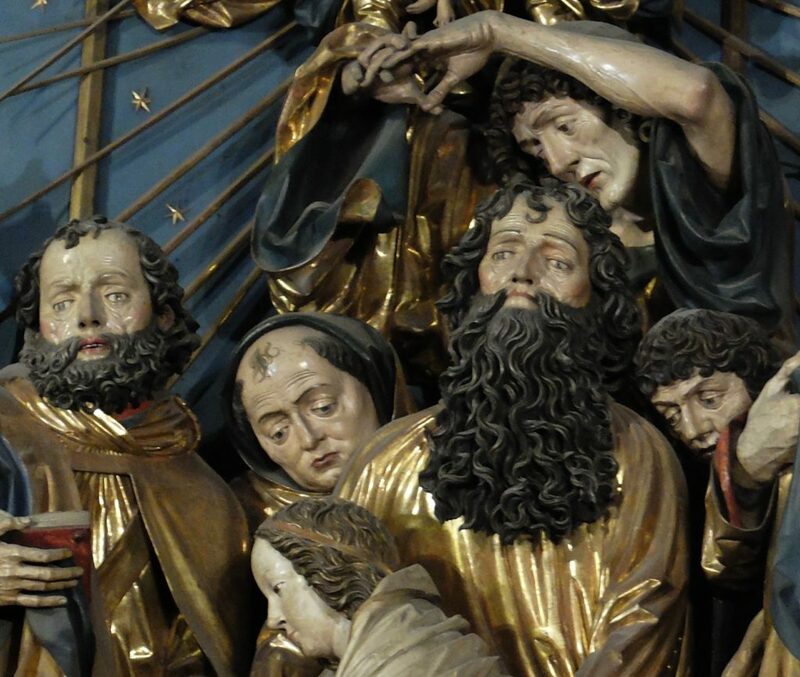 The kudos that went with the support of Emperor Maximilian seems to have put the sculptor’s career back on track, and Veit Stoss lived out his days in Nuremberg, continuing to work well into his eighties. He died in 1533, his reputation undiminished as one of the greatest artists of his age. 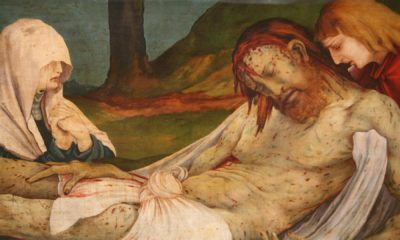 The dramatic story of the altarpiece, however, does not end there. Several weeks before the outbreak of WWII, fearing damage or theft of artworks, city art historians took measures to secure the altarpiece. After 450 years in St.Mary’s, it was partially disassembled and hidden in crates within cellars in Krakow and Sandomierz. However, by 1940, the Germans had learned of the whereabouts of these crates and seized them, relocating them to Nuremberg castle. 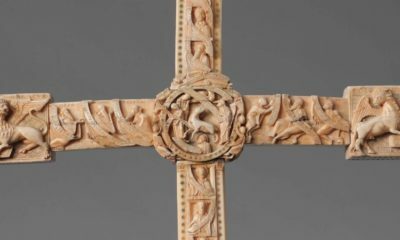 Remember that Veit Stoss was born a Nuremberger, so he met the Nazi definition of ‘Aryan’ – Hitler considered the altarpiece to be German property! 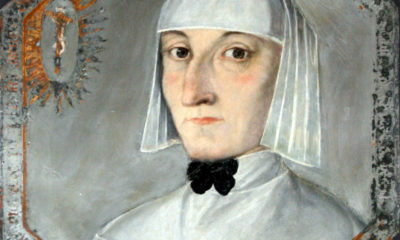 In a further twist, Polish prisoners, held in the castle, discovered the looted masterpiece and managed to get messages to the Polish resistance about the location of their revered altarpiece. It was retrieved after the war ended, miraculously unharmed despite heavy bombing of the castle. 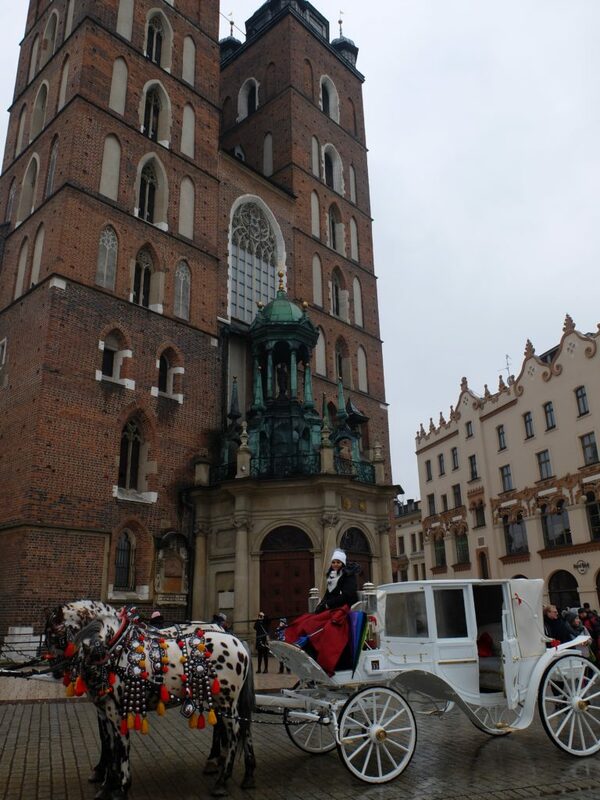 The altarpiece was returned to the people of Krakow in 1946 and underwent 10 years of major restoration work before being re-sited at St. Marys Basilica, in 1957, where it continues to inspire awe in visitors to this day.